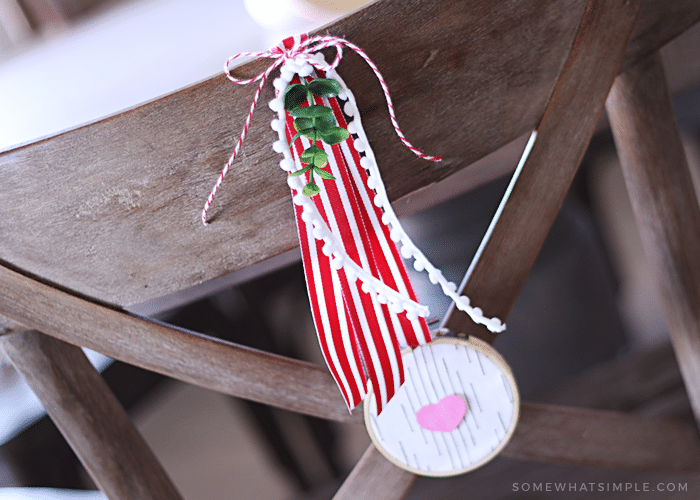 Dig through your scrapbook supplies and fabric stash to make this darling mini wreath that would look so festive anywhere in your home! We kind of have this love for simple wreaths around here. Our Autumn Wreath, Halloween Candy Wreath, and our Christmas Printable Wreath are all fun projects that even the kids can help with. But if you’re looking for a fast and festive project you can make for any season or holiday, this Mini Wreath is perfection! You don’t need much to make these darling mini wreaths – in fact, you might have almost everything you need in one of those craft bins! And if not, head to the remnant section of a fabric or craft store and grab some pieces for pennies! I found this fabric for 16 cents in the Walmart remnant bin. I KNOW. I about died myself. And the paper? 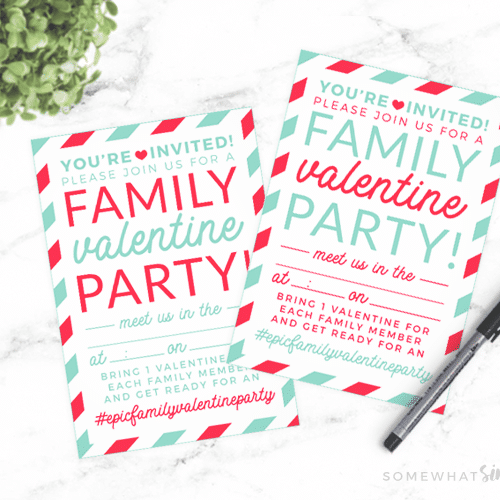 Just some red and pink printing paper I had for the kids. Guys. You don’t need much! 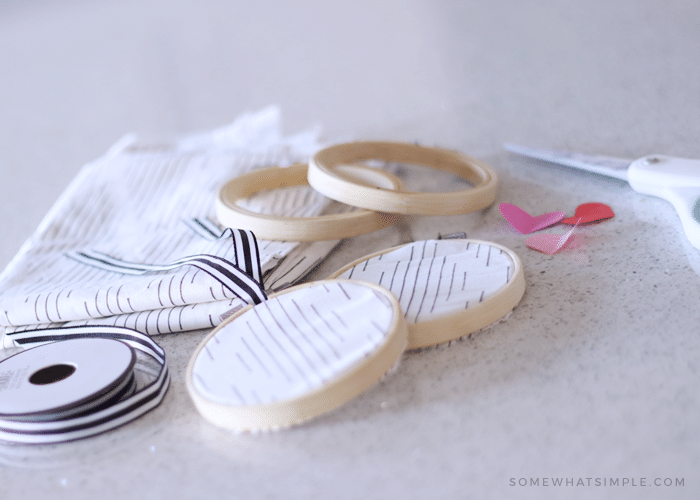 Ready to create your own adorable mini wreaths? First, place the fabric in the embroidery hoop. Next, cut the fabric around the hoop so you don’t see any poking out the back. Fold your paper, and cut out a heart. 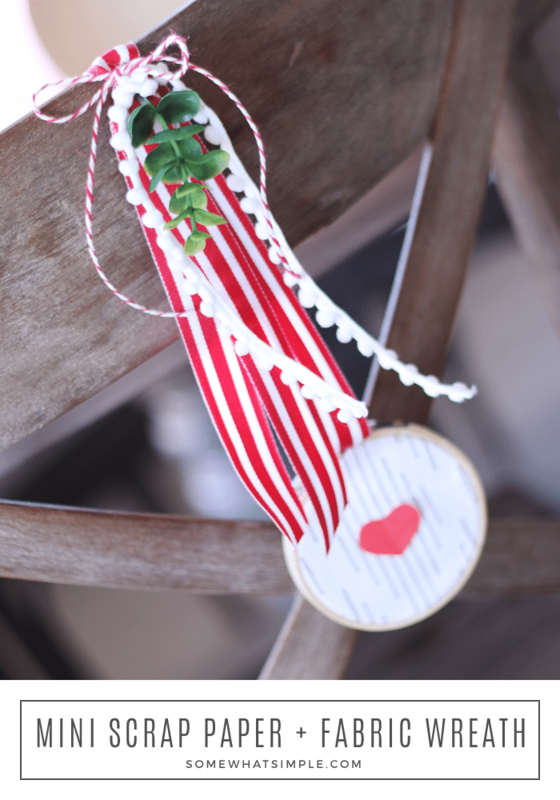 Tape or glue your heart onto the middle of the fabric on your mini wreath. Thread some ribbon through the top of the hoop, where you twist it to tighten it. 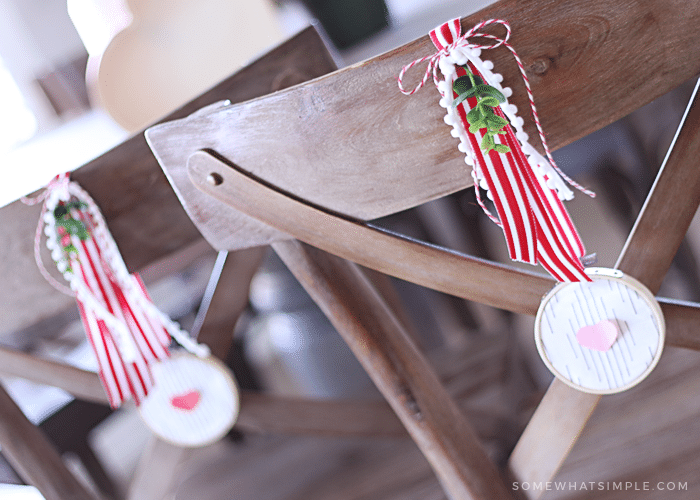 Hang the mini wreath onto your chairs (or anywhere else), and then secure it with twine, more ribbon, and a plant sprig if you desire! 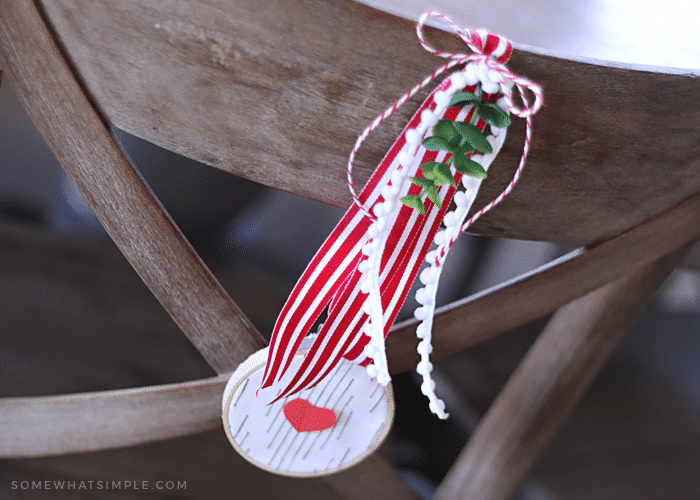 Don’t be afraid to switch things up – I realized my red and white ribbon looked 1000 times better than my original plan of black and white ribbon as seen above. Play around with your mini wreaths and have fun! 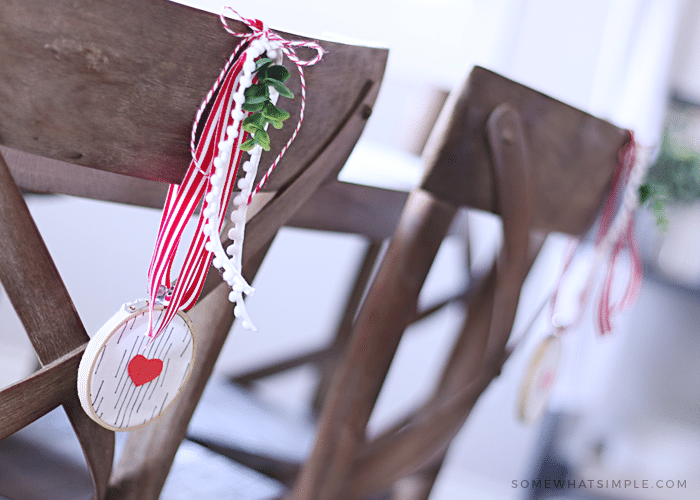 Now, you can make every mini wreath match, or, if you want to put them on the dining room chairs, it might be fun to have each family member design their own mini wreath to hang! 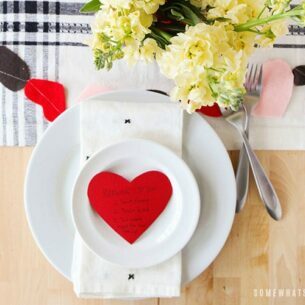 Such a fun, easy, and beautiful way to decorate for Valentine’s Day! These mini wreaths would also look darling on bedroom doorknobs, cabinet fronts, or anywhere else that could use a touch of Valentine’s festiveness! Tag us on social media when you make them- we’d love to see!! 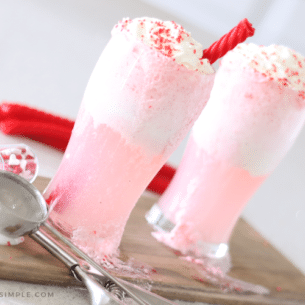 This post originally published in February of 2018, and was updated with a new tutorial and images in 2019.